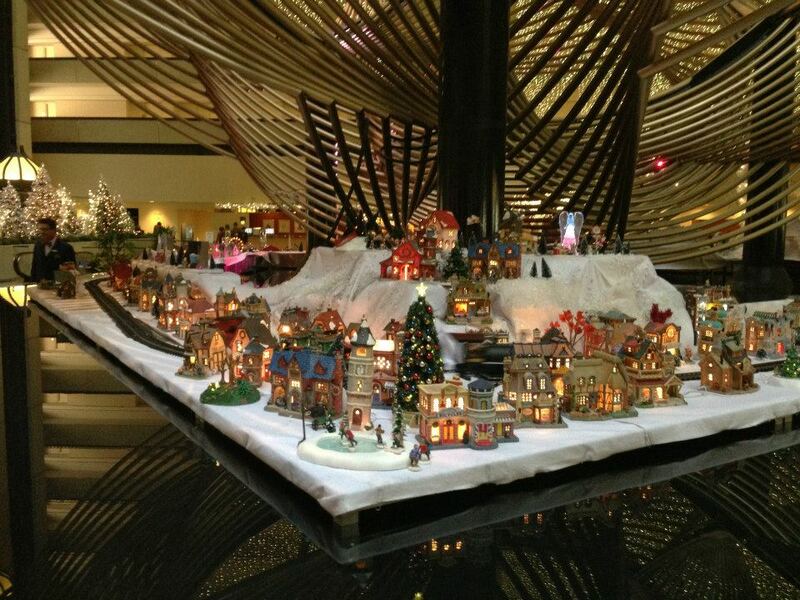 Make Hyatt Regency San Francisco your home for the holidays. Open 24-hours a day the hotel will continue its grand holiday tradition with an engaging and interactive snowfall display in its atrium lobby throughout the holiday season. Complementing the dramatic lights, over-the-top interior décor and 30-foot tree, snow will fall daily from November 22 through December 31, 2014. Snow times are as follows: Weekends (Saturday + Sunday) at 10:30 a.m.; 12:30 p.m.; 4:30 p.m.; and 6:30 p.m. and on weekdays (Monday – Friday) at 4:30 p.m. and 6:30 p.m.
And, back by popular demand, the hotel’s legendary Snow Village will be on display in the hotel’s lobby from November 22 through December 30. The free 2014 display encompasses over 1000 pieces, ranging from traditional holiday-inspired collectibles to entertaining motion-oriented exhibits. For reservations and information, visit www.sanfranciscoregency.hyatt.com or call (800) 233-1234.